8Rental.com provides car hire with chauffeur in Liverpool and Merseyside county. We strive to ensure a reliable passenger transportation at most suitable price in Liverpool and England. Reliability, convenience, safety - unique service package you receive hiring a chauffeur cars with 8Rental Reservations! 8Rental's driver offers a warm welcome to all arriving customers at Liverpool John Lennon Airport! 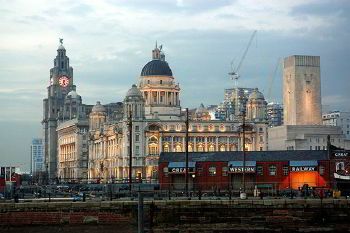 Being a local resident, chauffeur knows perfectly Liverpool’s streets, roads, routes, surroundings areas. Feel certain that carrier will safely drive your guests to the requested location. 8Rental.com-your private chauffeured vehicle supplier in Merseyside! Total price comprises: VAT, taxes, toll roads, requested vehicle, fuel, driver. All rental cars guarantee high manufacturing quality. You will instantly feel cozy in slick design vehicle with evolutionary design, ergonomic seats, high class interior, spacious headroom, zone climate control. All 8Rental's carriers are driving license holders. Whatever direction your Liverpool road takes, 8Rental's car hire with driver looks forward to make essential assistance to that. Feel free to reach us today! 8Rental Vehicle Reservations – Your travel starts here! Liverpool local residents are known as "scousers". Approximate population reaches 470 thousand. Two things, most associated with Liverpool – music and sport. 600 million music records worldwide, most influential Rock Era's act, ten prestigious Grammy Awards, billions fans and listeners - yes, it's "Beatles"! Multi selling band including John Lennon, Paul McCartney, George Harrison and Ringo Starr is an icon in music history. 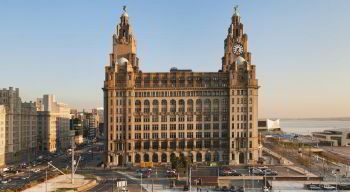 Liverpool's most successful footballing England's city, home to both Liverpool FC and Everton FC. Hire a chauffeur car to discover Liverpool's iconic waterfront, Albert Dock, The Royal Liver Building, Merseyside Maritime Museum, Liverpool Anglican Cathedral, the Walker Art Gallery, Victoria Park with its impressive array of facilities, like butterfly house, bowling greens basketball courts, etc. Standard economy class car hire with driver in Liverpool-ideal alternative! Standard rental car top qualities: smart-looking design, condition, massive boot, spacious cabin, comfy seats, easily fits four people. Standard model car rental-Your super budget option! Business travel? Hire all-new BMW or Mercedes. Courteous driver will drive you from Liverpool John Lennon Airport to requested location. Luxury chauffeured car's specification: subtle elegance, beautifully styled headlights, leather seats, perfect combination of sportiness, sizable trunk, intelligent business assistance system. Receive affordable offer and book confidently your car rental with driver in Liverpool! 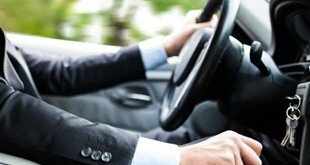 Hire a car with driver in Liverpool!